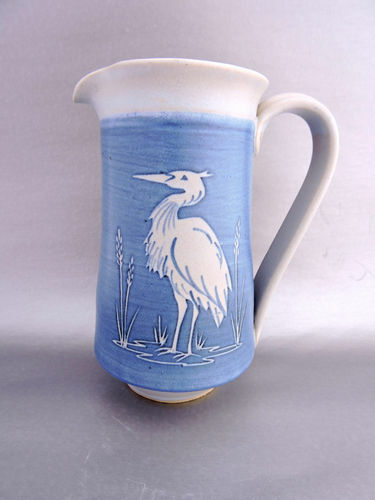 Stoneware pottery by Linda Vigliotti of Tanglewood Pottery is thrown on a potters wheel and fired in an electric kiln. 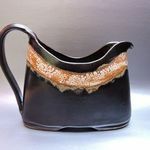 Her work can be found at the Pacific Rim Potters exhibitions held twice a year at the Knox Presbyterian Church Hall on Richmond Road, Victoria. The Spring Show is always on the Saturday of Mothers' Day weekend, and the Autumn Show is held on the first Saturday of November. The venue is wheelchair accessible, admission is free, there is ample parking, complimentary refreshments and door prizes by raffle. 10 am to 4 pm. see the gobc Events page for more information. 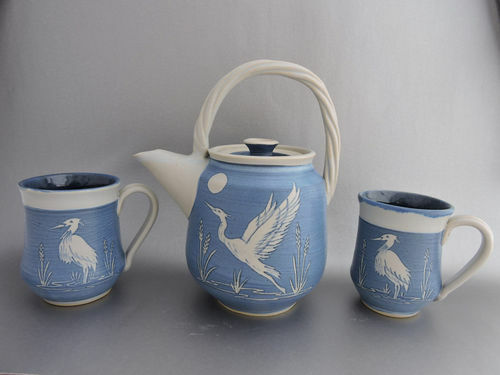 Stoneware teapot and mugs, decorated with coloured slip and dark interior glaze . 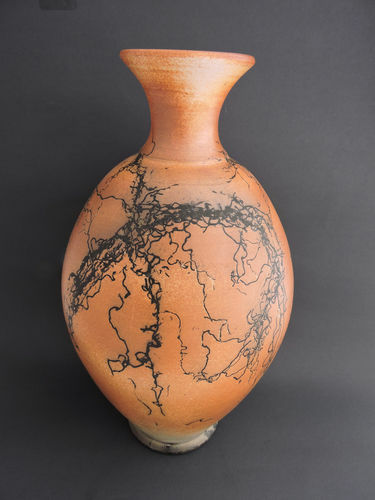 Burnished vase decorated with horsehair after being pulled out of the kiln HOT! 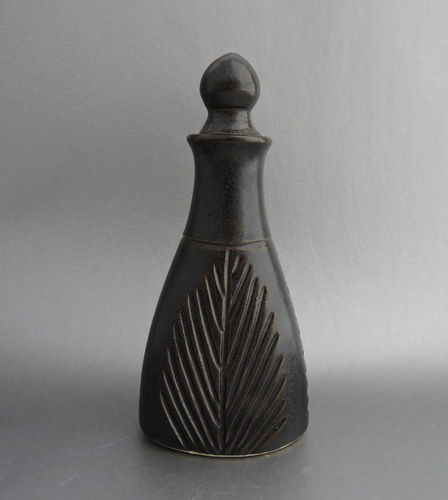 Stoneware jug with slip decoration.